I am sure many of you out there are in the process of making the needed arrangements for your Triduum liturgies, and I just want to post the friendly reminder that in obedience to the rubrics of the Ordinary Form of the Roman Rite (I doubt this is an issue at the EF), only men are to have their feet washed in the liturgical context. As you might know, this is not only out of obedience to the Roman Missal which has been duly promulgated by the Church, but also in imitation of Christ, who, on the first Holy Thursday, did not wash the feet of all his disciples, but rather, the men close to him. Additionally, the word viri (men) used here is defined as males. The other form of "man" in latin is that would be homo, which refers to mankind, or people, as found in the Gloria: et in terra pax hominibus/and on earth peace to people of goodwill. The latin grammar (as the CDW points out below) refers to males exclusively. The men who have been chosen are led by the ministers to seats prepared in a suitable place. 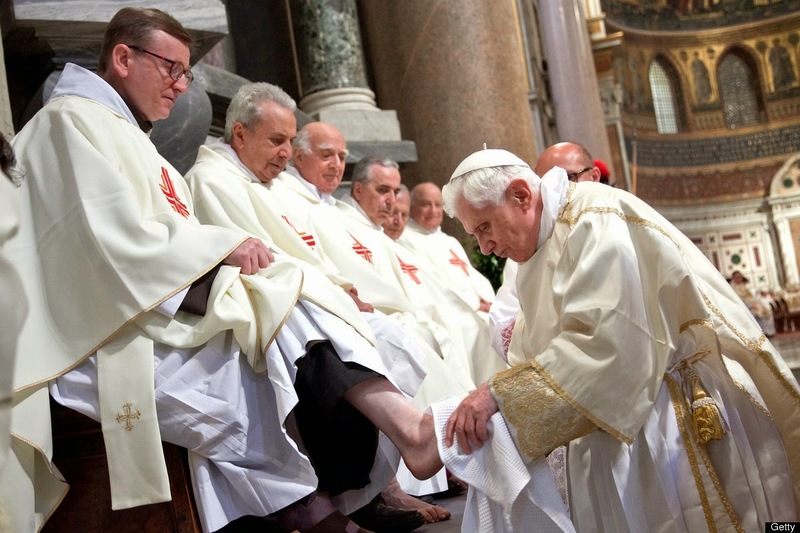 Then the Priest (removing his chasuble if necessary) goes to each one, and, with the help of the ministers, pours water over each one’s feet and then dries them. Viri selecti deducuntur a ministris ad sedilia loco apto parata. Tunc sacerdos (deposita, si necesse sit, casula) accedit ad singulos, eisque fundit aquam super pedes et abstergit, adiuvantibus ministris. According to the Missale Romanum (teria editio typica 2002), Feria V in Cena Domini, Ad Missam vespertinam, no. 11, the washing of feet is reserved to "chosen men" (viri selecti), that is male persons. This is also stated in the Caeremoniale Episcoporum (editio typica 1984, reimpressio 1995), no. 301. This Dicastery considers this legislation clear and wishes to add nothing further. 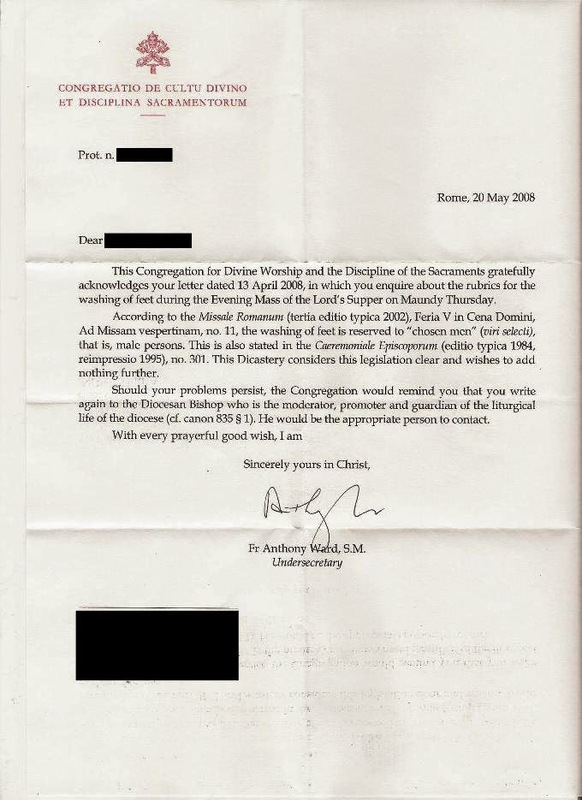 I will also add the personal note that should your contact with the diocesan bishop not yeild satisfactory results, you may always contact the Congregation for Divine Worship directly at any time, as per Redemptionis Sacramentum §184. Also, let us never forget that contact with either of them should always be done in "truth and charity" (RS §184).